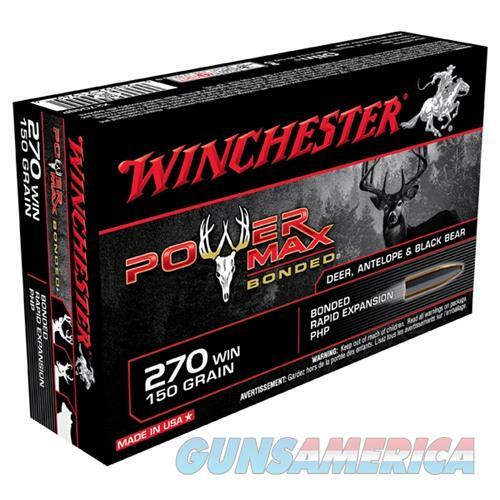 Shooters choose Winchester's legendary Super-X? ammunition because they know about its dependable knock-down power and affordable price. Originally introduced in 1922, Super-X is made today using the latest manufacturing processes and highest quality components to provide the consistent, dependable performance hunters all over the world rely on. Power Max Bonded (PMB) bullets take the time-tested jacketed hunting bullet to a new level of performance. Protected hollow point design features a lead core that is bonded to the jacket through a proprietary process to produce a massive frontal mushroom that expands more than double the original diameter upon impact.